Clutch Repair Do you have a manual transmission in your car? Then you need to make sure your clutch is maintained. 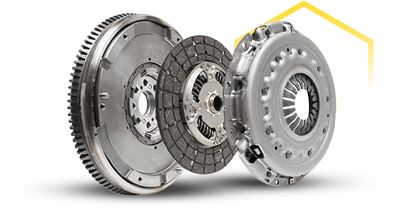 The clutch is a crucial component that connects the engine to your vehicle’s drivetrain. This piece of complex machinery demands finesse and attention to detail. Not to worry, though; the technicians at Mr. Transmission are prepared to assist you with your clutch repair and/or assembly needs. Whether you need clutch repair, maintenance, or assembly, we can help. Vehicles We Service In the event that your car is in need of clutch repair, you will want to have it serviced immediately. Unsure if we can assist with the clutch repair of your vehicle? The experienced technicians at Mr. Transmission are proud to service domestic and foreign makes and models, as well as hybrid, all-wheel drive, and diesel vehicles. We service RVs, too. Schedule an Appointment Today Before any clutch repair is made, we provide your vehicle with a free Performance Check. Need a tow? We provide with all major repairs at participating centers to ensure that your vehicle receives the service it needs. Please contact your local service center for details.